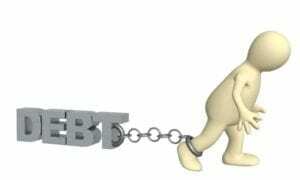 In divorce you not only divide your marital property, but you also divide your marital debt. 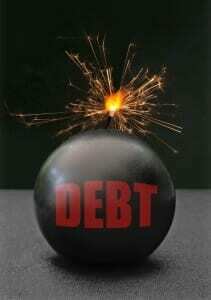 How you divide your debts depends upon where you live. In equitable distribution states, like Illinois, marital debt is generally divided equitably, based upon all of the facts and circumstances of your particular case. Non-marital debt often, but not always, remains the responsibility of the person who incurred that debt. The biggest marital debt most people have is for their home. Many people think that if they quit claim their interest in their home to their spouse, they can walk away from it. That is not true. Giving away your rights to the property has nothing to do with satisfying your responsibility to pay for the property. If you signed a mortgage for your home, you will be responsible to pay for that mortgage until your name has been removed from the mortgage. That only happens one of two ways: you either pay off the mortgage or you refinance the debt, pay off the old mortgage and get a new one that is not in your name. Even if your spouse is ordered to pay the mortgage, that still does not change your responsibility to the mortgage company to pay the mortgage. That means that if your spouse doesn’t pay the mortgage the way s/he is supposed to, you can go after your spouse in court, but the mortgage company can still come after you. 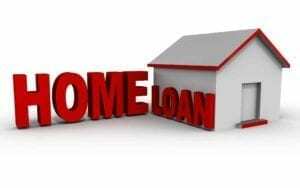 What’s more, the mortgage will remain an outstanding debt on your credit until it has been paid off. That might make it difficult or impossible for you to purchase another home until that mortgage has been paid in full. If you have debt on other big items of property – cars, boats, furniture, etc.– it is common for a court to require the person who gets the property to pay the debt. For example, if you are given the family car as part of your property in a divorce, you will also be responsible for paying the loan on the car. But, depending upon the facts and circumstances in your case, it is possible that you can end up being held responsible for certain marital debt even if you have nothing tangible to show for it. The most important thing you need to know about debt is that your divorce does not affect your agreement with your creditors. So, if you have a credit card or a car loan in your name, your creditor will always hold you responsible for paying those debts. Your creditors don’t care whether your divorce judgment says your spouse is responsible for paying those debts or not. If your spouse doesn’t make the payments, the creditors can still come after you. What’s more, your spouse’s late or missed payments will affect your credit. Debts that you or your spouse had before you got married are usually deemed to be non-marital debts. 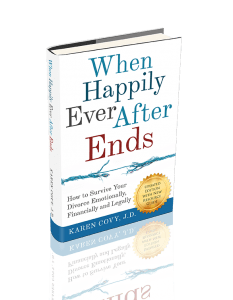 If you or your spouse entered the marriage with non-marital debts (for example student loans), then, when you divorce, whoever incurred that non-marital debt will normally remain the one responsible for paying that debt. To get your FREE Divorce Checklist, CLICK the button below.